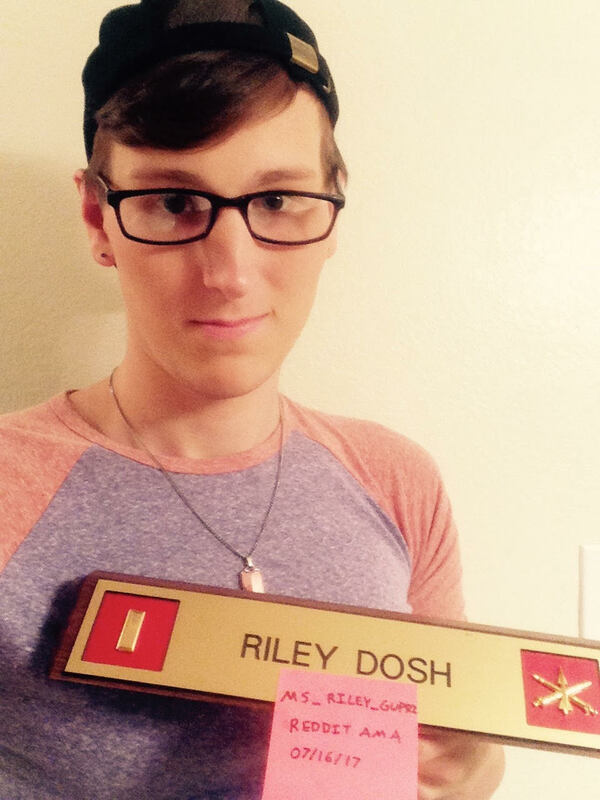 My name is Riley Dosh, and I graduated this past May. Although I met all the requirements for commissioning, I was instead discharged by the Pentagon. I was featured recently in USA Today, the NYT, and the BBC. We mostly follow GiveWell's recommendations because the depth of their research is just super impressive. There's no one else who comes anywhere near to answering "if I want to do as much good as possible with my money, where should I donate?" We were recently in Quartz, the Guardian, the New York Times, the Boston Globe, and the Daily Mail, and did an interview on CBS Boston. So: ask me anything, and if you have questions for Julia (/u/jdennon) post those too! I have 33 years of experience in criminal defense, with the last 15 years doing death penalty work. Oklahoma is preparing to execute an innocent man named Richard Glossip that I know there have been many discussions here on Reddit about. If you're interested in learning more, Ian Woods of Sky News is doing a serial podcast about Richard Glossip and his quest for exoneration. We got 250,000 signatures on a moveon petition; that was nice, but we didn't get anything for it. How does social media (chiefly, Reddit) drive this? Right now we have an indefinite stay of execution and I'm worried about this case withering on the vine. How do we keep it in the public eye? 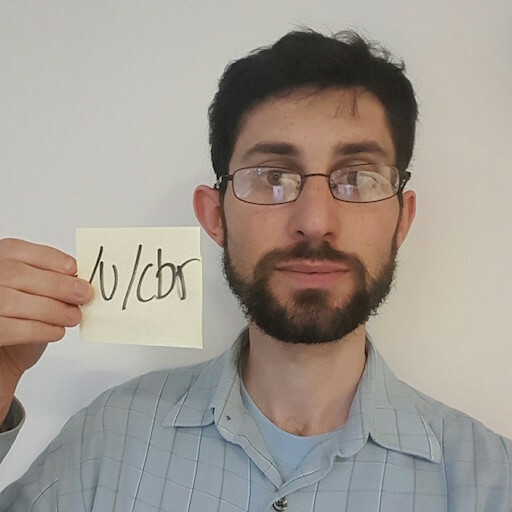 Edit: I'm going to go talk with some big shot tech moguls (or I'm sure they think of themselves that way) here at Reddit HQ, but I'll answer another few more questions when it wraps up! Thank you very much. My girlfriend and I booked this cruise about a month ago. On Monday there was an engine fire which has now left us in port in St Thomas. Expected stops were in Barbados, St Lucia, St Kitts, and St Maarten. I am on mobile so please give me some time to respond. Edit #1: questions have started to slow but I am a constant lurker and will continue to answer questions until there is no interest. I appreciate everyone stopping by and allowing me to share this experience! Edit #2: we are departing st Thomas tonight and will be in San Juan tomorrow morning. I will not have cell service while at sea but will continue to answer any questions when I receive service again. Thanks for stopping by everyone! I'm Amrit Sharma, I grew up in Kathmandu and then moved to Minneapolis in 2004, where I lived for a decade, before I set off on an adventure to just travel about 6 months ago. I was in Delhi when the earthquake rocked Nepal. I bought a airplane ticket right away and flew here the next day. I've been actively tweeting and blogging since the earthquake last Saturday, April 25th. Ask me almost anything. I will answer them through out the day, and then at night (approx. 11pm Nepal time), I will live stream on PERISCOPE. I've thought long and hard about how and when I tell my story of the past few days, but I guess I feel I should post this as to give my account of events on the ground during the quake and the days following. Please read the following and donate all you can to help. I want to start by saying that the media coverage that I've managed to see over the past few days has focused very much on Kathmandu and Everest. Whilst I understand these are the biggest news drivers, and where the pictures have come from, having been in Kathmandu for the over a day, it doesn't seem to be the worst hit area, and the story about the absolutely devastated countryside is largely missing. I want to tell my story but only want to focus on what we've seen of the people. We were on a bus on the way to Langtang national park when the quake hit, about 50km from the epicentre, at about 2000m. We weren't sure what was happening at first, maybe the bus was going over the cliff, but as the quake got worse and the shaking became very violent it became clear. People in the small village in which we had stopped began running out of their houses. The village itself lost houses that slid down the mountain, and shortly afterwards ambulances and jeeps were screaming past, along with motorcycles carrying injured to the nearest town. We waited in the village for a few hours with many terrified villagers. When we felt it was safer we started to make our way on foot down the mountain through many small villages that were completely destroyed. We looked helplessly as we passed by people who had just lost everything. Stopping occasionally to talk to anyone who spoke English, we heard of many deaths, many injuries, mainly broken limbs, and lacerations , along with many animals lost that form the basis of most livelihoods. We followed a valley to a town called Trishuli which was hit hard and resembled a small war zone. We stopped in the town in a small refuge centre in the back of a hotel for the night and two nurses we were with gave first aid to locals. The locals were amazing and happy to provide us with a place to sleep and food. The night was full of aftershocks and we didn't sleep much but pressed on the next morning. Not far down the road we found a makeshift medical station on the street outside a pharmacy. The local hospital had collapsed and they were making do on the street, which was littered in medical packaging from the previous day. The nurses we were with started again giving medical aid to locals with injuries, largely cuts and eye injuries etc. For a while we debated taking a young girl with a bad eye injury with us to try and find a hospital as the nurses though she could lose the eye, but we couldn't help her, and there was not suitable medical aid available locally. We then hitch hiked about 10km along through many small villages also badly affected. At this point the road was blocked. The quake had thrown boulders the size of vans into the road, along with many landslides of mud, trees etc. This will take many days to clear to allow medical supplies and food to reach the badly affected areas. We proceeded on foot for 35km to a village called Kakani where a local family found us a scout tent to sleep in for the night. During the course of the walk we were on steep mountain roads with ongoing quakes including the second big quake, which was very dangerous and extremely scary with rocks that could fall from above at any point and we would have nowhere to hide. We also came across a bus that had been hit by a number of large boulders. Inside were a number of bodies, at least 3 that were beginning to putrefy in the heat and attracting flies, pretty horrific. The police had neither the machinery nor means to get them out. All of the traditional stone and mud buildings are heavily damaged, 10-20% are completely flattened and the rest missing walls, roofs, corners and floors. Many of the mountain homes were built on stilts which have given way. The damage is no less than catastrophic, and with roads blocked the emergency services are unable to reach them. Many of the buildings that are still standing are now beyond repair and too precarious for fixing or even in some cases entering. We've seen and heard of many many deaths and injuries, and seen numerous funeral pyres being lit. Injuries are being treated very slowly in a makeshift way and hospitals are full to bursting if they haven't collapsed. The next morning we hitch hiked back to Kathmandu and spent the next day or so organising flights etc. I have to say that help from my insurance company, Insure and Go, was terrible. They wouldn't help at all, and I will be making a very strongly worded complaint when I have a chance. Many travellers had their flights arranged by insurance companies or governments, and whilst the British embassy did provide a place to sleep and food/water, at the time I visited they were not providing any evacuation. Luckily we found a great hostel with a garage that gave us a place to stay for the night. We went the next day to Dharahara Tower, which I had climbed less than 24 hours before the quake and Dunbar Square which are completely destroyed and teams were still digging, but many of the buildings in KTM are built with reinforced concrete and have survived. Considering the damage we'd seen in the country we were genuinely surprised at the situation in KTM. The main issue now is water, food and shelter. Even in KTM we were starting to struggle to find bottled water and whilst the running water was on again it has been contaminated with sewage. Very scary. Many people are living in 'tents' made from plastic tarpaulins and the weather would turn in thunderstorms regularly. Lack of basic sanitation and disposal of rubbish could lead quickly to the spread of disease. I was lucky enough to be able to book a flight out to Delhi but there were many people of all nationalities waiting outside the airport for any flight that they could get. Our story is a lucky one, but please donate anything you can spare to avert what will quickly become a major humanitarian disaster. I was attending the launch as an official guest of NASA through their NASA Social program. I was filming at the press site 2.2 miles away and I can describe the event and the aftermath. I'll do my best to answer any questions you have about the rocket launch, the evacuation, the press conference afterward, and anything else related to the event. I'm going to be sleeping before driving home from Wallops Island, VA, so I may not get to answer all questions right away, but I will answer everything within 24 hours. Edit: an update from the road. I'm about 2.5 hours from getting home from Wallops. I'll be sure to answer all your questions then. Thanks for participating! My short bio: My name is Mohammad (AKA FNU Mohammad). You may know me from my appearance on Sundays John Oliver last week tonight, various press coverage e.g. NBC News, or my recently viral change.org petition I am a former Afghan interpreter who worked for U.S. and Coalition Forces from 2008-2012, spending most of my time as a “terp” for U.S. Marines. I’m also a client of Iraqi Refugee Assistance Project. In retribution for my service, the Taliban kidnapped, tortured, and executed my father and kidnapped my then three-year-old brother, threatening the same fate. Despite all of this, it took almost 3.5 years, 11 congressional inquiries, and multiple news stories to secure a special immigrant visa (created by Congress for interpreters in danger just like me). I arrived on MLK day of this year, and have quickly become a fully productive, tax-paying, insured, and hard working resident. In fact, I got my job on the day of the Super Bowl…go Seahawks! Now I’m trying to save my family. As John Oliver said, they would have been eligible for visas had they been Iraqi, but there is no equivalent law for Afghans. We are thus in the middle of a “Hail Mary” humanitarian parole application, which is the only means of saving them. Now that my father is dead, I’m the eldest son. I could use your help to save my family. EDIT: Thanks again everyone! It is an honor to be in this country. I can't wait to have my family here with me and safe! I'm @fansince09, a philadelphia sports account that has recently been in national news for using social media crowdsourcing and facebook graph to help police to identify the suspects in a recent assault on a gay couple in Philadelphia. I'm happy to answer any questions about the process. Thanks for the questions. I'll continue to check throughout the day, but feel free to keep asking me whatever you'd like on twitter dot com. We have fun on the internet. QUICK UPDATE: We've managed to recapture a strategically important town called guere (I tried pronouncing but failed), which was the main driving point for the potential ISIS attack on the capital. A big thanks in this case to the Americans. UPDATE 2:Was just at a medical placement and we had peshmerga fighters coming in with bomb wounds. There was also this poor little boy who had lost both of his parents to a mortar blast and was severely injured himself. I came home to hear that the town which they came from, called Jalula, was captured by ISIS. After 12 hours of stepping out of lurker darkness, I'm totally chuffed with all your comments (even those of you who don't agree with my opinions). I'll answer some more and stop before I reddit myself to death like that guy who died playing on the PC for 72 hours straight. If you have any questions just PM me with an at least moderately sexual header followed by the question or insult you have and I'll happily take both. Good night. My Proof: http://imgur.com/LoG5jxd. Suleymaniyah mountains in the background. http://imgur.com/hJdaSbZ Spot the attack helicopter. http://imgur.com/mcbaVI6 Picture of a humvee going in the direction of the capital. On February 22, 2012 my daughter, Amina, was shot when a classmate reached into his backpack (that contained a .45 caliber handgun stolen from his biological mother's boyfriend) to show another student the weapon. The student told authorities that he brought the gun to protect himself from bullies (he was suspended from school the previous week for fighting). Amina suffered life threatening injuries requiring 5 surgeries. Injuries include a severed inferior vena cava (the vein that carries deoxygenated blood from the upper half of the body to the heart's right atrium), she also had her spleen removed, damage to her liver and small intestine, a fractured elbow which has a titanium plate (this is where the bullet entered, and likely saved her life). The bullet remains lodged in her back, just millimeters away from her spine. She spend 6 weeks in the ICU and was on a feeding tube for about 3 weeks. My Proof: : Submitted to Moderators for review. Sent a link to my facebook account, but that doesn't count for verification.. Sending an other form of verification. I will try to answer all questions as they come.. I have nothing to hide. Edit: Well It's 3:30 am here and I'm pretty sure more questions will pop-up. I'll be back to answer them as they come. Thanks for listening to my story! So, I had a brain tumor called a Meningioma of the Jugular Foramen. It was/is benign and was in a pretty difficult spot to get to according to my two surgeons which is why the surgery lasted 20 hours. And, no, they didn't get all of it unfortunately but I'm going in every 12 months for a check up to make sure it isn't growing more. Edit: I'll post a picture of my tongue as soon as I get home so you guys can see what an atrophied tongue looks like.